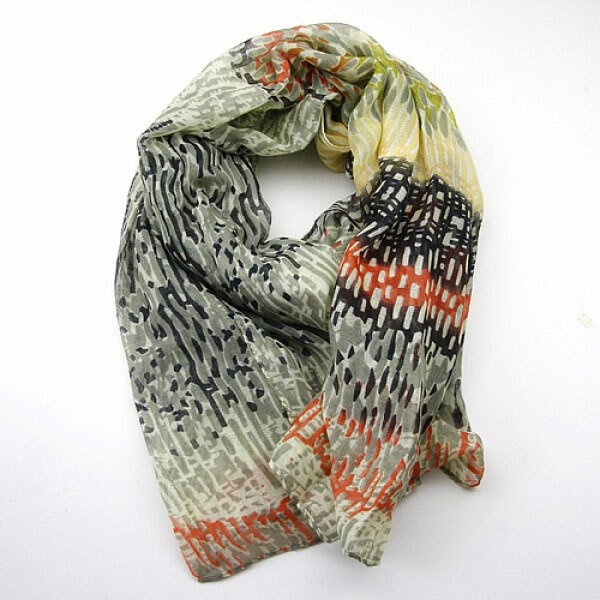 An attractive cream based soft, long scarf overprinted in abstract shapes in shades of coral, cream, pale and dark grey, which suits so many outfits. 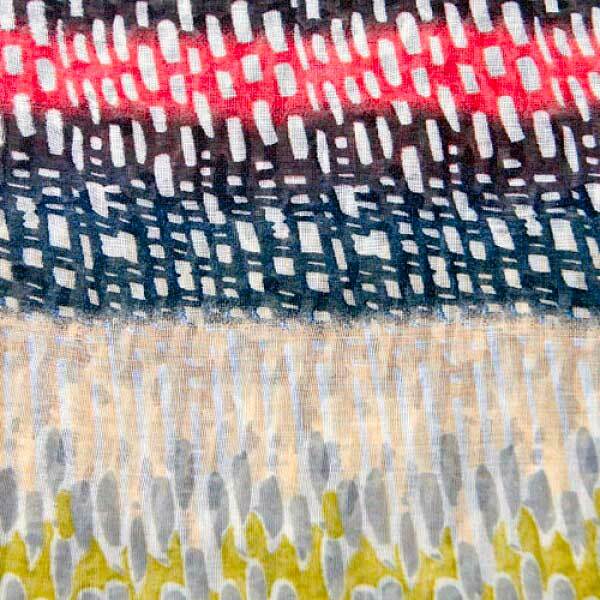 The scarf is approximately 100cms x 180cms. in length.